• 16 pages & 32 high-resolution grayscale images. The evolution of the XD Pistol began in Croatia in 1998 at IM Metal. The HS (Hrvatski Samokres - Croatian Pistol) 2000 was Croatia's first polymer frame pistol. IM had been manufacturing pistols for the Croatian military dating back to 1991 during it's civil war with Yugoslavia. The HS 2000 was specifically designed as a military service pistol chambered in 9mm Parabellum (9x19mm). The goal of the initial design was to create an easy to use foolproof pistol. To simplify its use, there are only three contols: slide release, magazine release button and disassembly lever. At first glance, the HS 2000 is very similar to some Glock and Sig models, the frame contour is close to the Glock model 17. However, the "interior" of the HS 2000 is very different from the Glock series of pistols. The single action trigger has a falling sear that is directly engaged with the striker / firing pin so when you pull the trigger the sear slides down and disengages the firing pin. Safety Features: The grip safety (as seen on Colt 1911 variants) must be depressed to allow the sear to disengage from the firing pin when the trigger and trigger safety are pulled. The trigger safety (lever) must be depressed together with trigger to fire the pistol. The HS incorporates an automatic firing pin block / drop safety which effectively blocks the firing pin /striker until the trigger is fully depressed. A cut out in the slide will only allow the trigger bar to disengage the sear from the firing pin only if the slide is fully forward in battery. The grip safety also locks the slide from being retracted, when reholstering the pistol. This ensures that the slide does not accidentally become pushed slightly out of battery. 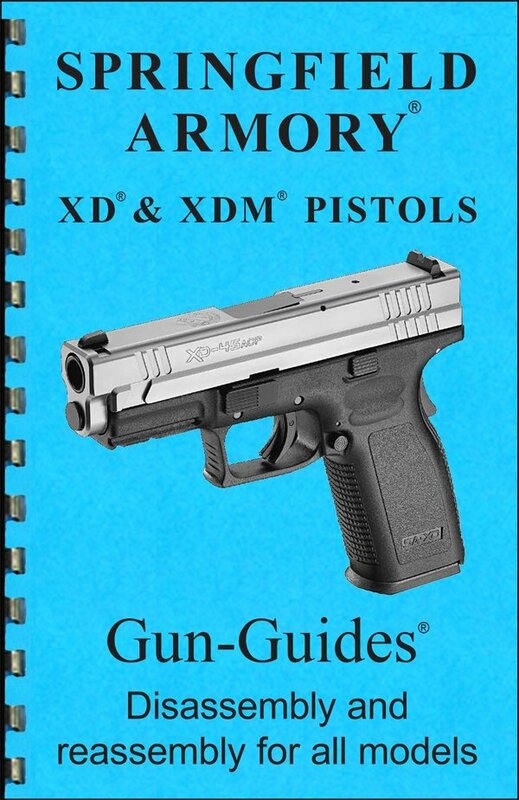 In 2001, Springfield Armory, Inc. negotiated licensing rights to the US market, and changed the name to the XD-9 (X-treme Duty 9x19mm). Springfield Armory has since expanded the line to include models in .40 S&W and .45 ACP, three barrel lengths, and four finishes (black, bi-tone, olive drab frame, and the dark earth frame). The XD-45 and the XDM series have been awarded the title of Handgun of the Year from American Rifleman Magazine. In June 2010, Springfield introduced their XD(M) in .45 ACP and an XD(M) in .40 S&W with a 3.8" barrel, which weighs only 30 ounces.